This was a real page-turner, which says a lot, given that I already knew how it would end. I read the historical fiction version by another author and was fascinated by it, but also wondered what was fact and what was invented. Macintyre take his job so seriously that 25% of the book is citations. You KNOW he’s not making this up! A great big thank you goes to Net Galley and Crown Publishers for the free read; that said, yes, this one is worth buying. I haven’t read anything else by Macintyre, but now that I have seen what he can do, he’ll be on my to-read list! 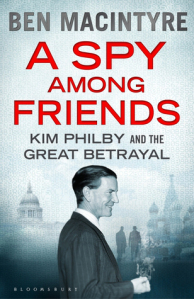 This entry was posted in biographies and tagged biography, spy stories, thriller by seattlebookmama. Bookmark the permalink.